Shenzhen -- The top finisher among five Asian countries, excluding Japan, in the FIBA World Cup on Aug. 31 to Sept. 15 will claim an automatic ticket to the 2020 Tokyo Olympics and SBP president Al Panlilio said yesterday the Philippines has a chance to make it with the luck of the draw. Eight countries will represent Asia/Oceania in the 32-nation World Cup, where the first round of competition is scheduled in eight different cities in China. Aside from host China, the seven qualifiers from the combined region are Australia, New Zealand, South Korea, Iran, Japan, Jordan, and the Philippines. In qualifying for the Olympics, Australia and New Zealand will be reclassified under Oceania, leaving South Korea, Iran, Jordan, the Philippines, and China to dispute the Asian ticket, with host Japan assured of a slot. The top Asian finisher in the World Cup will be awarded an outright berth in the Tokyo Games. The top African finisher, the top two Americas finishers, the top two European finishers, the top Oceania finisher and the top Asian finisher in the World Cup will gain automatic entry into the Olympics. 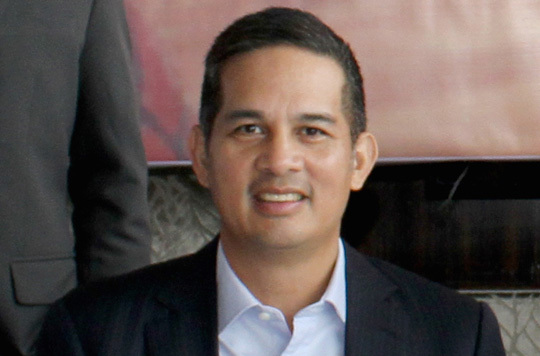 The luck of the draw will play a role in determining how far certain countries go in the race for Olympic slots among contenders in the five FIBA zones. Last night, FIBA conducted the draw that situated the 32 teams in eight groups of four for the first round of eliminations. Before the draw, the Philippines was assigned to Pot 6 with Canada, Montenegro, and South Korea. That meant Gilas will play the first round in one of four possible cities--Wuhan, Foshan, Nanjing, and Dongguan. It also meant the Philippines will not be in the same bracket as Canada, Montenegro or South Korea. Under the seeding process, the Philippines would be in a group with three of the following 11 countries----Serbia, Argentina, Lithuania, Greece, Russia, Brazil, Italy, Nigeria, Senegal, New Zealand, and Angola. The 12 countries which the Philippines will not face in the first round are China, US, Spain, France, Puerto Rico, Turkey, Dominican Republic, Venezuela, Germany, Czech Republic, Poland, Iran, Japan, Jordan, Tunisia and Ivory Coast. The results of the draw were not known at press time.